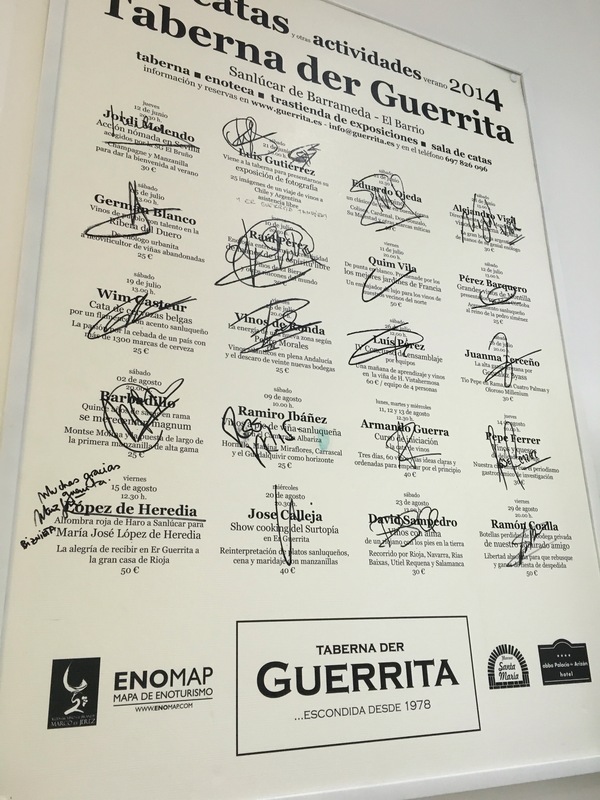 No trip to Sanlucar would have been complete without a trip to Taberna Der Guerrita, legendary cradle of the current renaissance of the wines of Jerez and Sanlucar. 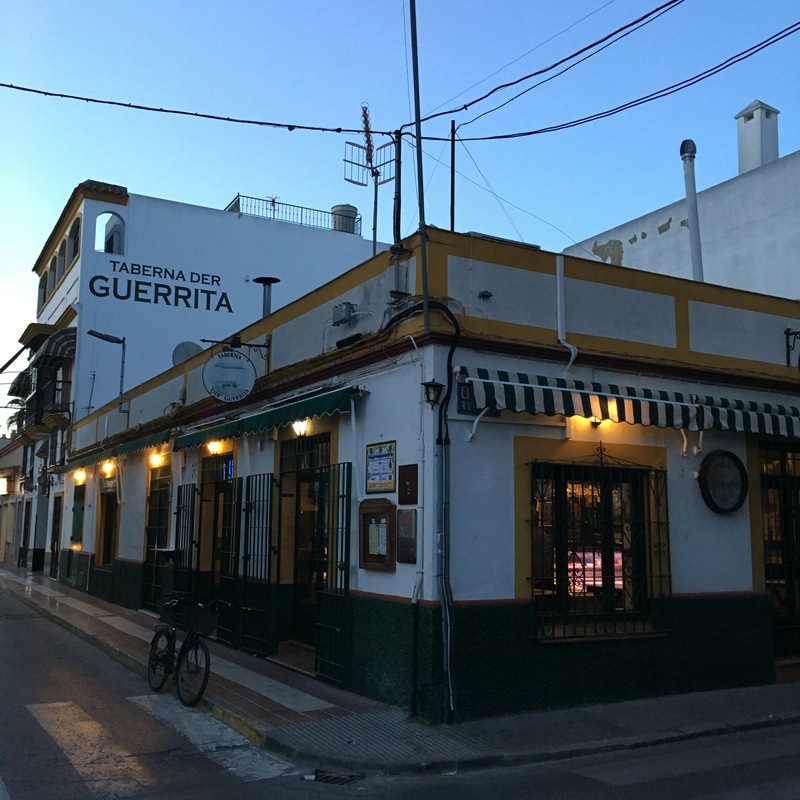 Don’t be fooled by the unassuming exterior you can see above – or the colourful traditional bar (complete with local fauna) you will find when you get in through the door. There they have manzanillas of all varieties on tap and some wicked bar food – we had an awesome cheese and chicharrones – but the real magic is in the back. In fact the proprietor (proprioter?) Armando Guerra comes across as a brilliant bloke and in addition to those tastings seems to have been at the center of the innovative action in recent years. He has an absolutely outstanding little store where you can pick up rare sherries and manzanillas of every kind – paradoxically difficult to do in the region – and is not averse to taking the message on the road if necessary. It is also a cracking place for a bite to eat and drink. We had an excellent dinner here – just seamless, tasty dish after tasty dish of traditional cooking – and you can take any of the brilliant bottles off the shelf and for a very small premium swig away at them on the spot. A brilliant place, one I hope to go back to, and in many ways it is a worthy symbol of what is happening in the region: from the outside it appears old fashioned and traditional, and even inside the old lives on, but there is a real sense of future potential here too.